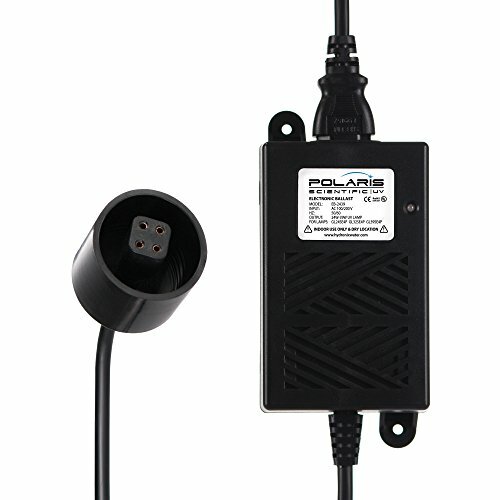 Polaris Scientific EB-2439 ballast for the UV-6C, UV-8C and UV-12C Ultraviolet UV Systems. 24W-39W 110V/220V. Used with the older style 4 PIN GL24SE4P, GL32SE4P and GL39SE4P Lamps. OEM Polaris Scientific EB-2439 ballast. Not compatible with the New 4 PIN Polaris (2 small 2 long pins). For use with older 4 pin style Polaris Lamps. If you have any questions about this product by Polaris Scientific, contact us by completing and submitting the form below. If you are looking for a specif part number, please include it with your message.